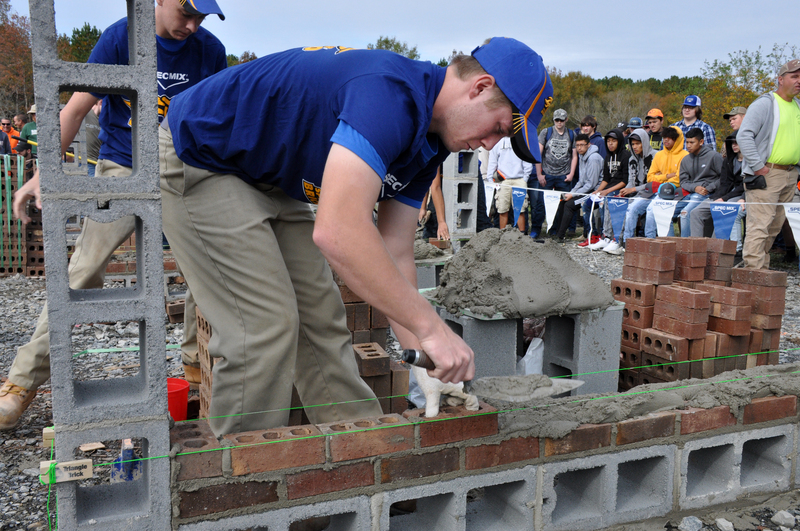 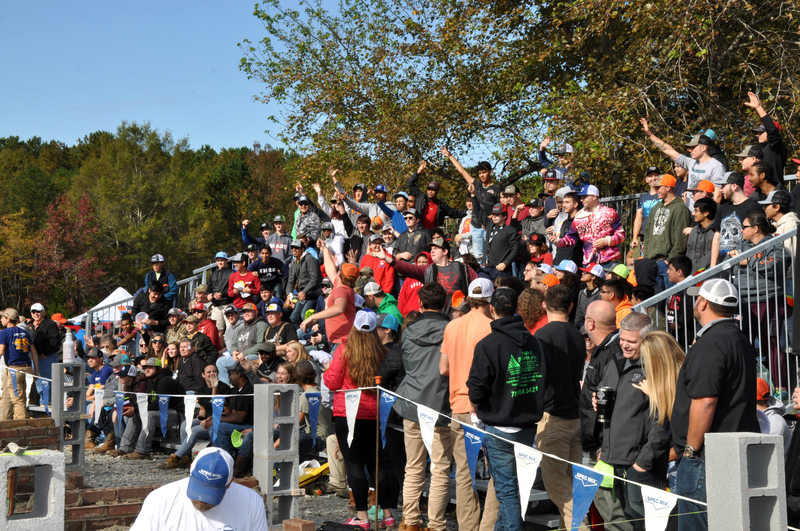 Gold Hill, NC – More than 600 students from 27 high schools in the Carolina’s attended to participate in Masonry Education Day at Ben Ketchie Park in Gold Hill, NC on November 8th, 2018. 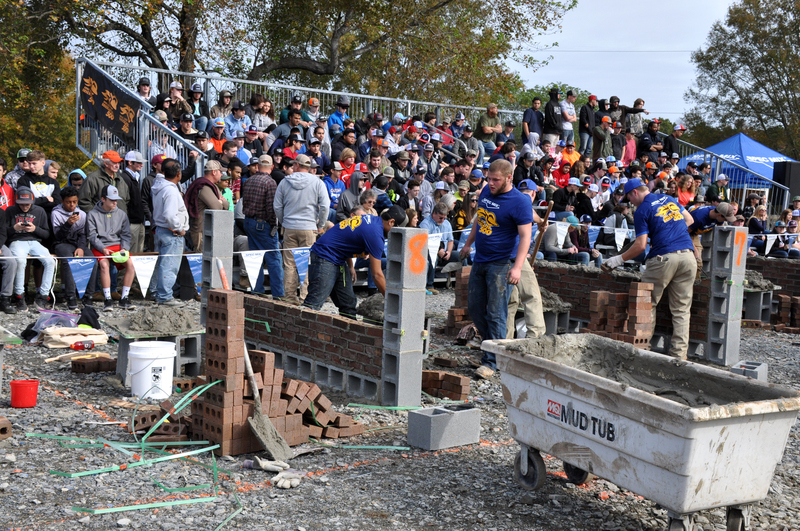 This event is the largest in the country geared toward apprenticeship and workforce development. 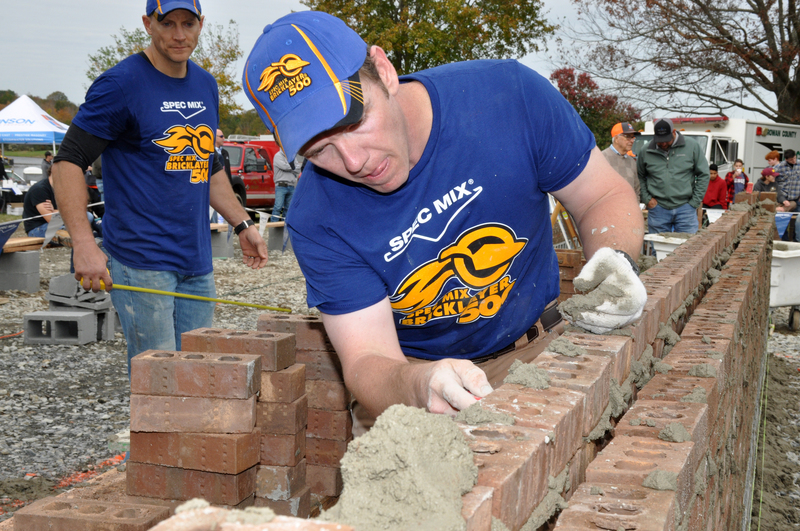 Students received hands-on instruction focused on jobsite safety, equipment management, and product usage. 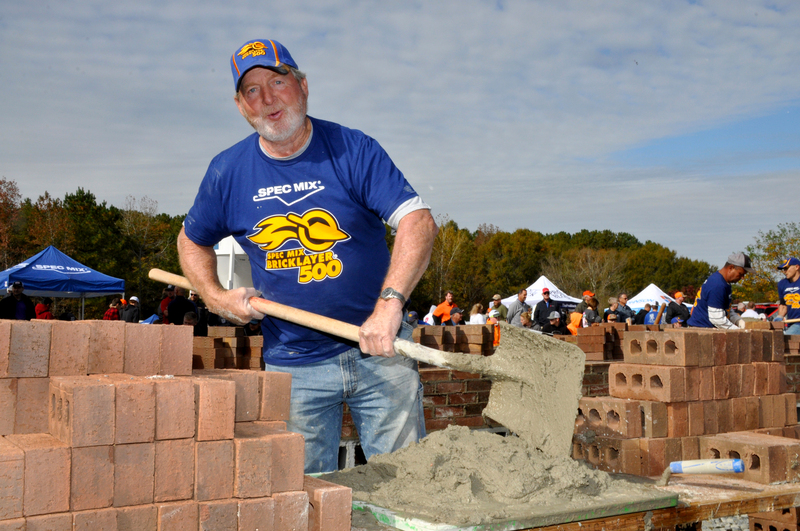 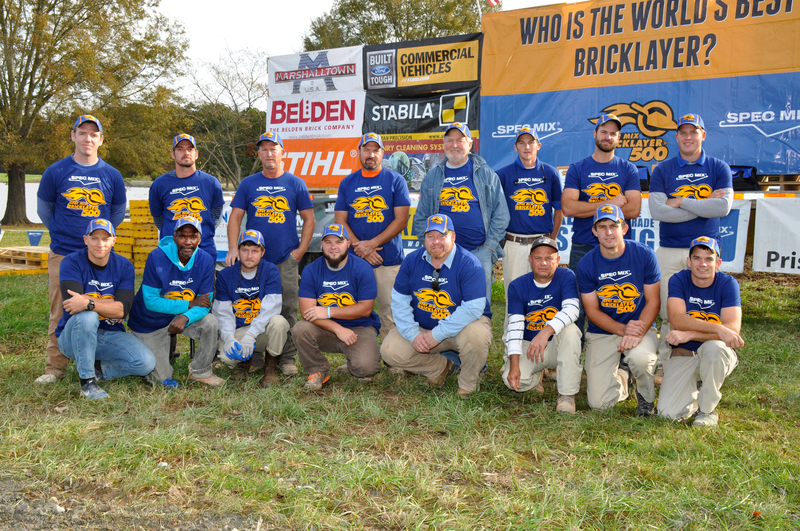 While immersing themselves in training, students also had an opportunity to watch some of the best masons and tenders in the country compete in the 2018 SPEC MIX BRICKLAYER 500® Carolina regional series. 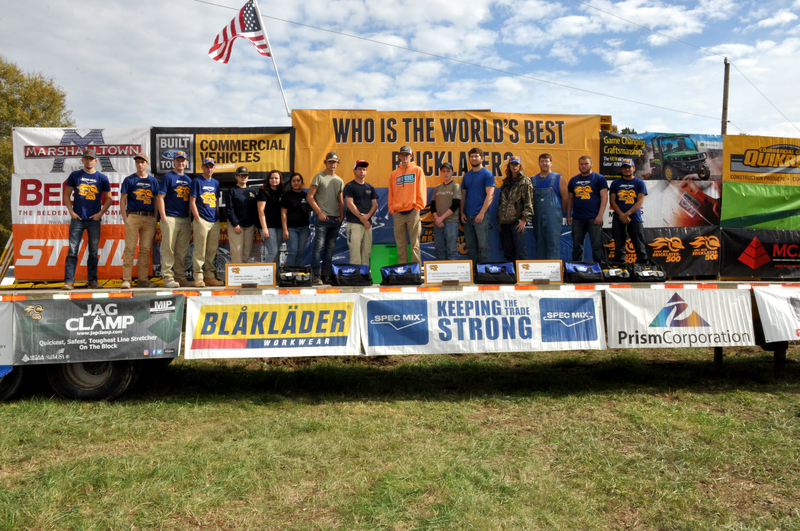 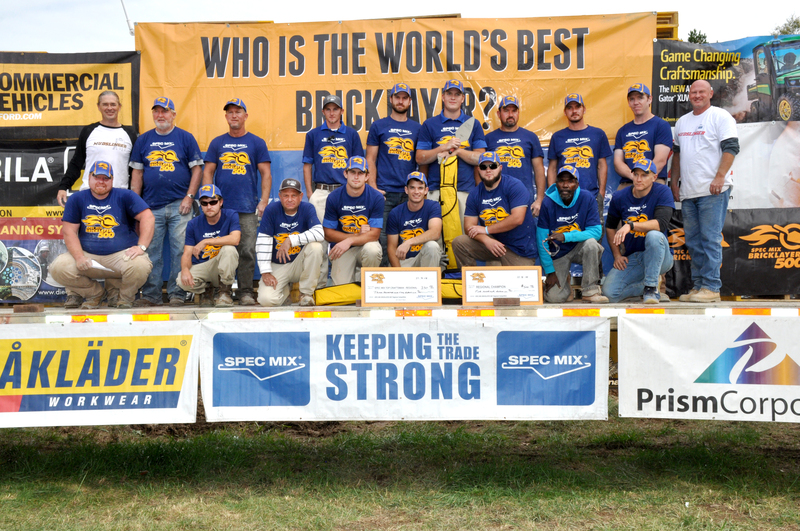 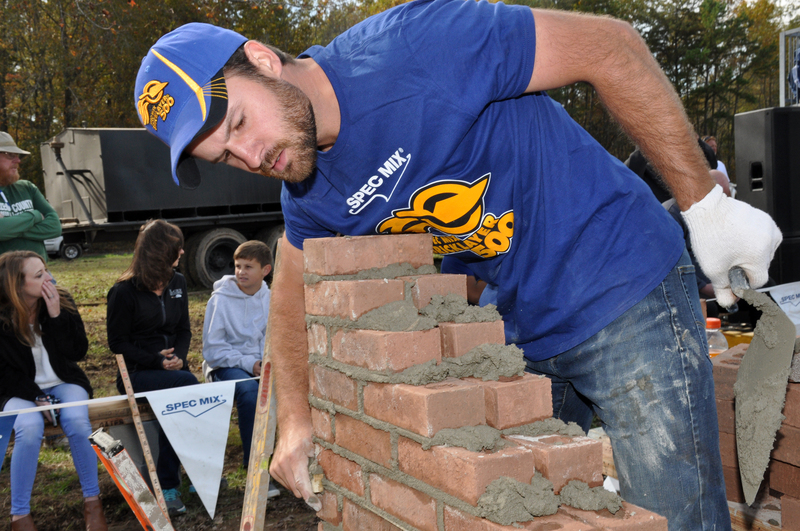 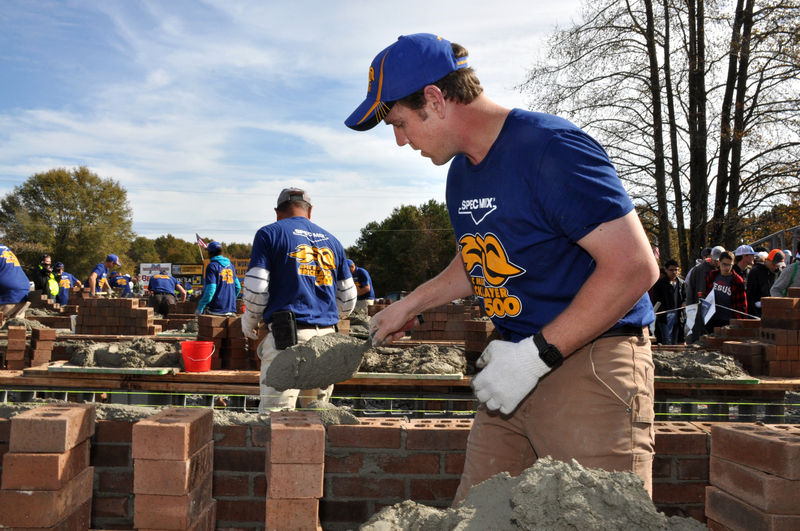 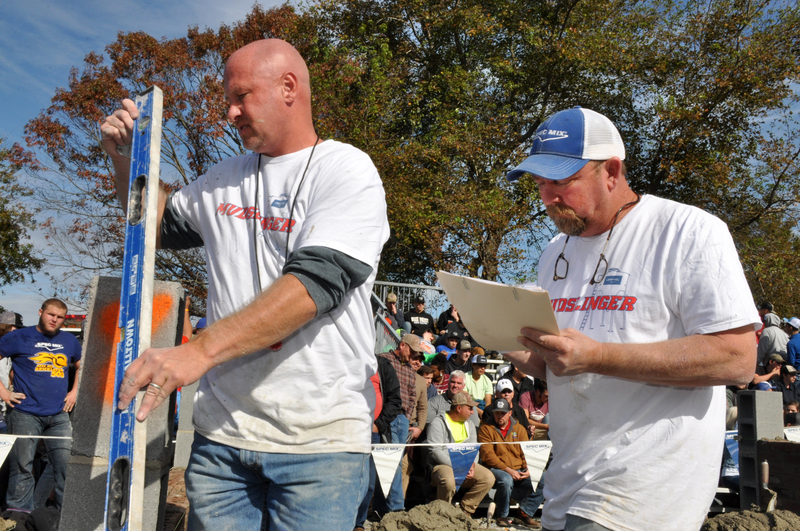 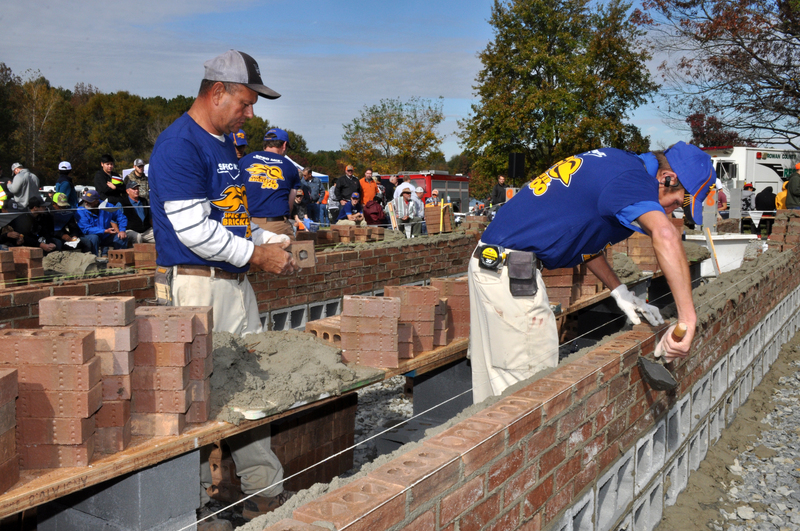 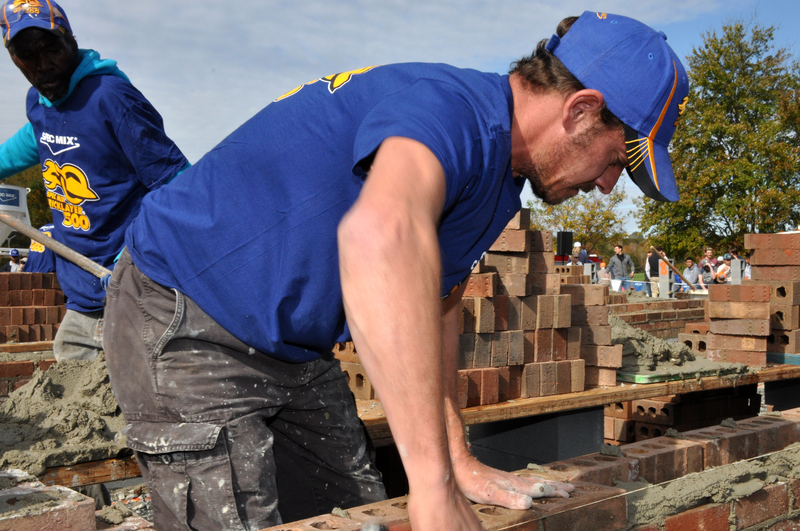 This year’s regional event drew 9 teams of highly skilled bricklayers. 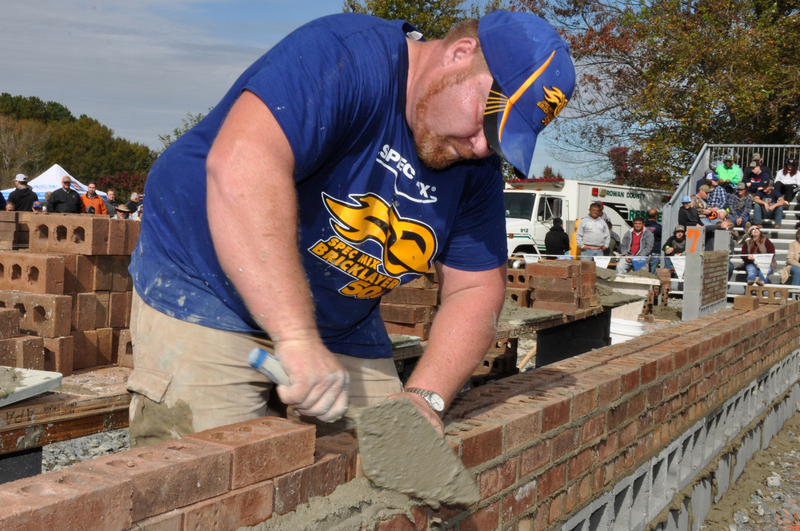 The mason with who lays the most brick with the least mistakes wins. 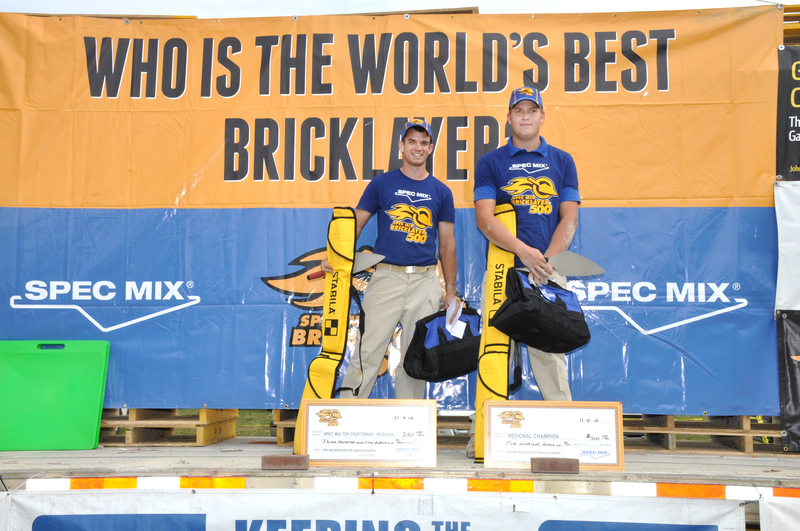 Grayson McGee and mason tender Trevin Munn of McGee Brothers Co. in Monroe, NC celebrated victory with a brick count of 632. 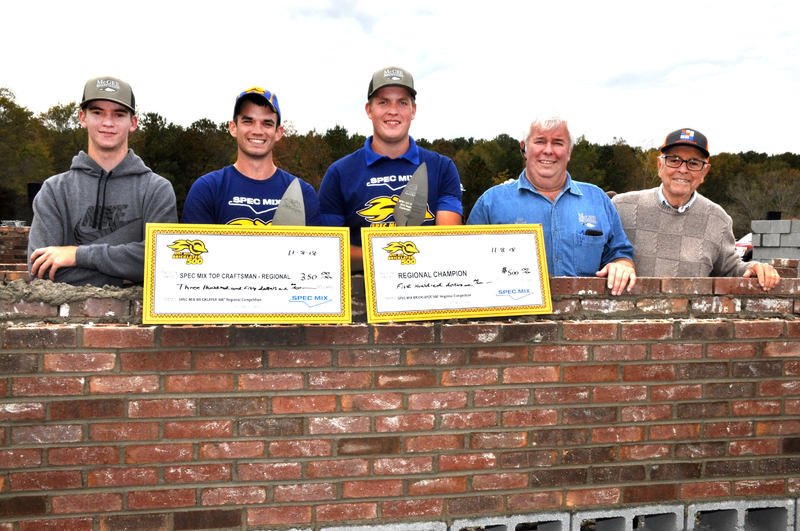 For their efforts McGee and Munn received $500, a trip to Las Vegas and the title “North Carolina’s Best Bricklayer.” They also took home the prize, SPEC MIX TOP CRAFTSMAN, which goes to the team with the “most sellable wall,” for this honor they received an extra $350. 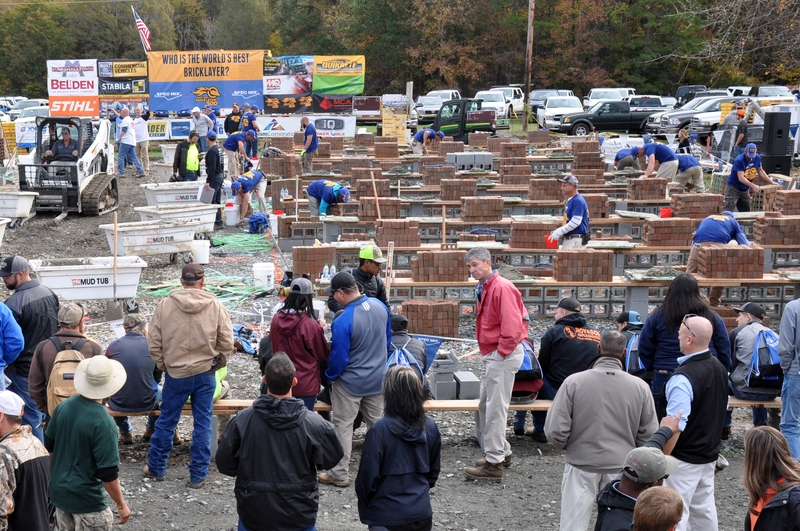 2nd place went to mason Wriston McGee and his mason tender Hiran McGee of McGee Brothers Co. in Monroe, NC with a brick count of 619 earning them a prize of $350. 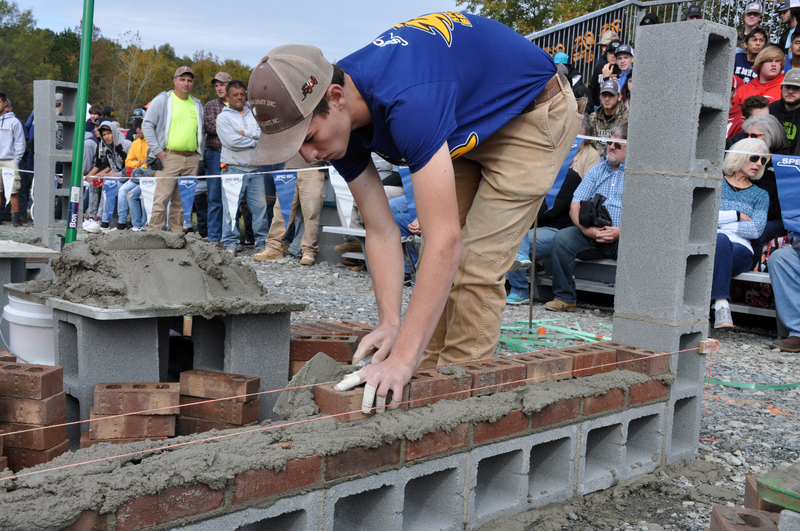 Third place went to mason David Kelly and his mason tender Matthew Kelly of Kelly Masonry in Pendalton, SC with a brick count of 477 earning them $300.